Jones & Son Diamond & Bridal Fine Jewelry in Little Rock is the place for Verragio in Central Arkansas. 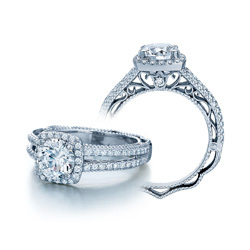 Stop by today to view the most extensive collection of these exquisite engagement rings. Please email us at jacobdjones@yahoo.com or call us at 888-933-8831 for more info about these rings. Stop by today to “Trade Up” your Caerleon ring for one with diamonds and receive 100% of your purchase price for the old ring, even if you didn’t buy your ring from us,stop by and trade it for one with diamonds. Now through December 24th take advantage of this offer and trade your Caerleon ring for diamonds at Jones & Son Diamond & Bridal Fine Jewelry in Little Rock, Arkansas. 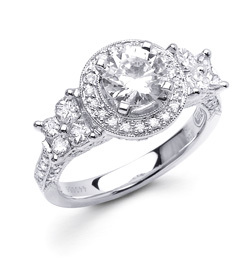 If your looking for an engagement ring in Little Rock look no further than Jones & Son Diamond & Bridal Fine Jewelry! Jones & Son is Little Rock’s Engagement Ring Store with the largest selection of engagement rings in Little Rock. Stop by today and see the biggest brands in the business all under one roof. Jones & Son is located in the Market Place Shopping Center in West Little Rock. In 1968, Alwand Vahan opened it’s door’s and the now world renown company Alwand Vahan Jewelry currently located at 604 Fifth Avenue was created. This companies inspiration came about after years of having worked for designer David Webb, Hermes and other prestigious international firms. By then, the owner and creative genius behind the creations, Sacha, had already served in the US armed forces. The driving force and extraordinary designer Sasha had also been a member of the Art Students League of Manhattan. While in this prestigious club he studied anatomy with one of his many celebrity friends Herve Villecheze, who played “Tattoo”, on the hit TV show Fantasy Island. Together they studied under the sculptors Nathaniel Kas, Hovannes, and Marshal Glaser. Alwand Vahan has sold and exhibited his creations at the famed retailer Bergdorf Goodman and was one of the first jewelry designers to be represented there exclusively. Then the company Vahan went on to design and manufacture for Cartier, Bloomingdale’s, Neiman Marcus, Mayor’s and many other nationally known US and International retail luxury outlets. 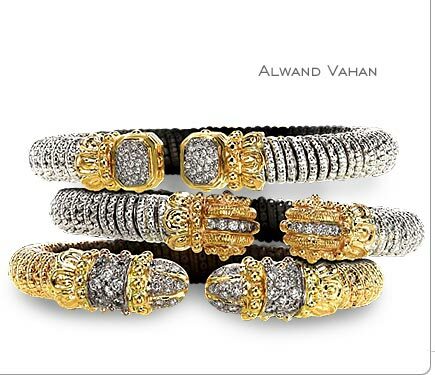 In 1983, Alwand Vahan moved his factories to larger facilities out of the bustling city of New York and expanded its line in 1995 from earrings to full signature collections, including the successful Moire’, Montage, and the romanticBlanc de Blanc as seen in Town and Country, Luster, In Style, and other major national publications. Among the many red carpet celebrities buying, wearing, and talking about Sacha’s designs would be none other than the beautiful Bette Midler, Linda Evans, and 2008 presidential hopeful Hillary Rodham Clinton. The Alwand Vahan collections are found in the finest jewelry boutiques and larger fashion jewelry stores throughout the country. The creations have continued to redefine and dazzle today’s woman with an eye for style, quality, and comfort. These bracelets are a must have accessory for those women who want the best, understand the importance of fashion, and who know they deserve at least one of everything they desire. Jones & Son Diamond & Bridal Fine Jewlery in Little Rock, Arkansas is pleased to be an exclusive Alwand Vahan retailer for Little Rock. Stop by today to view the complete collection of Vahan Jewelry. Visit us today at 11121 Rodney Parham, in the Market Place Shopping Center, in West Little Rock. Say “I Do” This Holiday Season at Jones & Son Diamond & Bridal Fine Jewelry in West Little Rock, Arkansas. 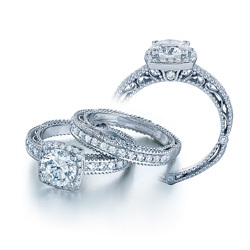 We have the best selection of Engagement Rings in Little Rock! What a great TV ad! The Tacori “Cupid’s Arrow” TV commercial. Tacori is exclusively available at Jones & Son Diamond & Bridal Fine Jewelry in Little Rock, Arkansas. Calla Cut ring featuring 1 cts tw in diamonds in 18kt white gold. 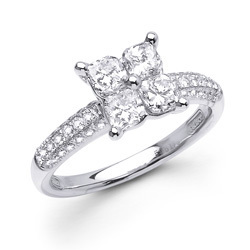 Each ring features the patented calla cut diamonds by Nelson. Calla Cut ring featuring 1.27 cts tw in diamonds in 18kt white gold. Each ring features the patented calla cut diamonds by Nelson. Jones and Son Fine Jewelry Celebrates Our 25th Anniversary with Alice 107.7 and Lollapalooza! 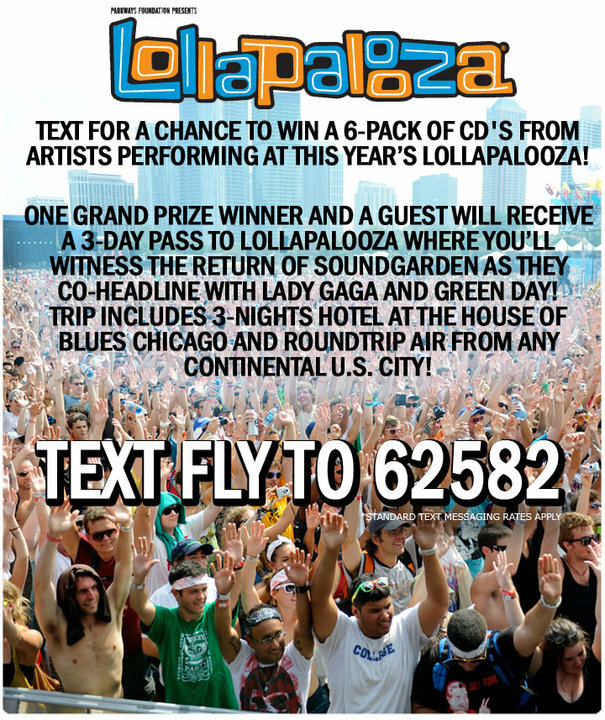 Text “Fly” to 62582 to win a trip to Lollapalooza in Chicago and a $1,000 Pandora Bracelet from Jones & Son Fine Jewelry in Little Rock, Arkansas. You heard it on Alice 107.7 – Little Rock, AR ‘s Lollapalooza ticket giveaway! Everyone who joins our Facebook page between May 24-June 4th, 2010 is automatically entered in a chance to win a complete $1,000 Pandora bracelet. The winner will be announced on Monday, June 7th on the air and on Facebook. All who join our page are eligible to win the bracelet from Pandora in celebration of our 25 years of business.